It was a quick response to a wide outcry, but some are still wary. The school’s decision was the result of consultation with the State Department, the university said. 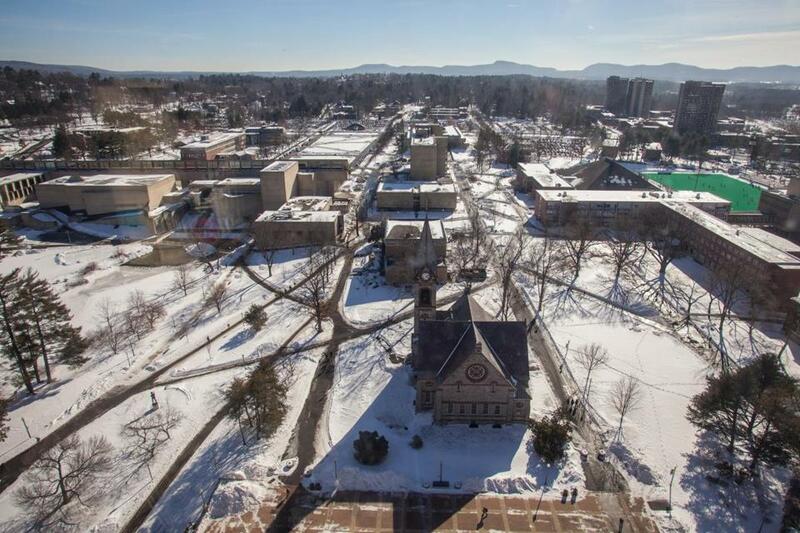 AMHERST — The University of Massachusetts Amherst on Wednesday backed away from its policy barring Iranians from graduate engineering programs, just days after its aggressive new response to US sanctions sparked a groundswell of protests from students and faculty. After consulting with the US State Department, UMass officials said Iranian nationals can enroll in chemical, computer, and mechanical engineering studies — as long as their planned studies do not run afoul of federal sanctions intended to curb Iran’s nuclear ambitions. Students at the state’s flagship campus who had protested the initial decision when it was announced to students on Feb. 12 said they welcomed the shift — with some reservations. Mohsen Jalali, a member of the Iranian Graduate Students Association, said Wednesday that his group was “more than happy,” but would keep close watch to ensure the new policy doesn’t unfairly restrict academic opportunity. The school said it will no longer accept Iran nationals into science and engineering programs to avoid violating US sanctions. “We want to see and make sure about more transparency and more clarification on the new policy, so there won’t be any arbitrary decision making going forward,” said Jalali, a political science student. Malone said the community response was a major factor in the revision. “Students make an enormous impact on our thinking and we weigh that very carefully,” he said. Malone also cited the university’s continuing conversations with the US government. On Wednesday night, more than 100 people expressed outrage over the revised policy at a public forum held at the school. Students called the policy discriminatory, restrictive, and unfair despite the revisions. Dr. Allan E. Goodman, president of the Institute of International Education in New York, said earlier on Wednesday that it is unusual for a university to ban students from academic programs based on economic sanctions. He said UMass appears to have done the right thing by going back to the government for clarity. “I haven’t heard of this before, but I think that university officials can look in the abstract of a government regulation and maybe not fully comprehend what it means, or what degrees of freedom they might have,” he said. A State Department official said last week that the school’s timing was surprising, given that the sanctions in question date to 2012. The department official, who asked not to be named, said the law does not prohibit qualified Iranian nationals from coming to the United States to study science and engineering, and each application goes through an approval process. Malone said the university drafted the initial ban and posted it online in an effort to clarify the rules, after a recent inquiry from an Iranian student. Under its new plan, the university will create individual study programs for Iranian students entering graduate school for the affected engineering programs. Malone said that process will require an “extra bit of planning” and coordination with the State Department, but remains in line with federal law. The National Iranian American Council said in a statement that its members sympathize with the burdens that the sanctions impose on universities, and hope that eventually the measures are lifted. Jamal Abdi, policy director for the group, said he is not surprised that UMass revised its policy so quickly. He described the initial effort as a “clear and egregious” violation of the school’s own values. At the forum Wednesday night, which was hosted by International Relations Club and Persian Students Association, students voiced concerns that the revised policy still discriminates. “My roommate is Iranian. It’s very humiliating for him to have to sign an agreement like that,” said Michael Havlin, a graduate student studying public policy and regional planning. Adina Giannelli, president of the Graduate Student Senate, sent a formal letter to the chancellor earlier this week demanding that an advisory committee be created to address the issue of Iranian student enrollment. “They can’t do this behind closed doors. 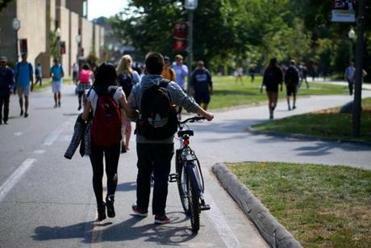 They need to include students, Iranian students in the process,” Giannelli said. Nariman Mostafavi, a graduate student studying Building and Construction Technology, also spoke out. Steve Annear can be reached at steve.annear@globe.com. Follow him on Twitter @steveannear. Eric Bosco can be reached at ebosco@umass.edu.